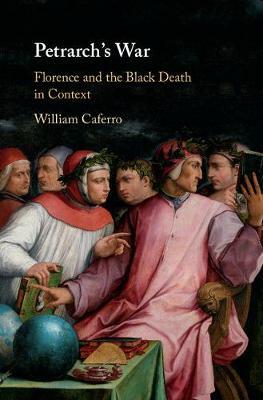 This revisionist account of the economic, literary and social history of Florence in the immediate aftermath of the Black Death connects warfare with the plague narrative. Organised around Petrarch's 'war' against the Ubaldini clan of 1349-1350, which formed the prelude to his meeting and friendship with Boccaccio, William Caferro's work examines the institutional and economic effects of the war, alongside literary and historical patterns. Caferro pays close attention to the meaning of wages in context, including those of soldiers, thereby revising our understanding of wage data in the distant past and highlighting the consequences of a constricted workforce that resulted in the use of cooks and servants on important embassies. Drawing on rigorous archival research, this book will stimulate discussion among academics and offers a new contribution to our understanding of Renaissance Florence. It stresses the importance of short-termism and contradiction as subjects of historical inquiry.